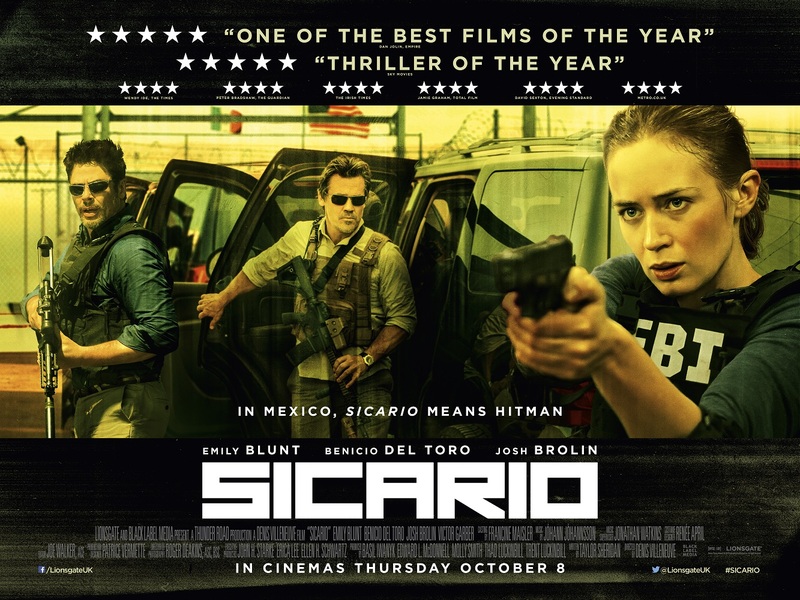 In Spanish, Sicario means hit man. David and I saw this last weekend. It is an intense drug trade thriller where you will be confused, at least at the beginning, as who are the good guys and who the villains. There are no white hats in the film. The clear world of right and wrong are no longer absolutes. Kate, a young FBI agent played by Emily Blunt, tries to hold on to her moral compass though the ground keeps shifting. The cinematographer Roger Deakers uses aerial shots of the border crossing, the wild chase through the drug tunnels, and long shots of expressive faces to add to the mystery and excitement of a “haunting jungle” of the the cartel wars in and around the border. This is a morally dense and thrilling look at the people, politics, and power that controls the drug trade on the Mexican/US border. Post Script: There is a story, though not in the film, that the drugs lords from Mexico live in the American section of Juarez so their families have a peaceful life, while they do business in the Mexican section of the city over the Rio Grande in Mexico. The film seems to validate that . Wait until you see the traffic jam scene at the border! This entry was posted in film, Uncategorized, USA and tagged CIA, drug trade, Emily Blunt, FBI, film, Juarez, Mexico, Rio Grande, Sicario. Bookmark the permalink.